Extraordinary People by Peter May, a Mysterious Review. Review: Extraordinary People is the intriguing first book in a series of thrillers set in modern France by talented author Peter May. May's novel is a macabre treasure hunt that, fair or not, will likely be compared in one way or another to The Da Vinci Code. There are, in fact, some striking similarities but Extraordinary People is by far the more distinguished book. 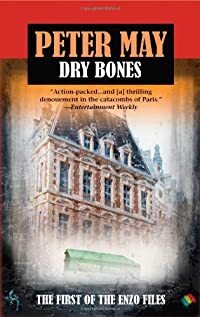 The pace of the story moves along briskly as Enzo Macleod, the forensics expert on a quest of deciphering the cryptic artifacts found at the site of a 10-year old murder, traverses the countryside unearthing clues. Several rather predictable events occur that make the journey personal, but they don't detract from the adventure. This otherwise outstanding literary effort is marred by a significant inconsistency in the plot. It is not possible to provide specific details without giving away too much of the ending, but the rationale for the existence of the artifacts is, at best, implausible. On the surface it's all rather clever, but there is a fundamental flaw in the logic. It is a little disappointing May did not develop a more convincing argument here. The presumed premise for this series, celebrated unsolved murders, is a captivating one and hopefully May will bring back the interesting characters he introduced in Extraordinary People for subsequent mysteries. Acknowledgment: Poisoned Pen Press provided an ARC of Extraordinary People for this review.